1A has a history almost as interesting as that of US 1. The first freeway in Boston's network besides the Central Artery, it was initially constructed to connect Logan Airport to Boston (after being a network of East Boston streets). Although the expressway is just over a mile long, the route extends much farther, up along the coast to NH before coming back into US 1. The freeway was proposed to extend much farther to the north and east, ending at proposed I-95 through the swamps - thanks to the Big Dig, I-90 could have ended there, intersecting I-95 twice. The interesting history doesn't end there. Not only has MA 1A been US 1 in its lifetime, it was also considered as a possible I-95 routing - if only the Southwest Expressway had been built, this would still be a possibility. Finally, there are three pieces of MA 1A. 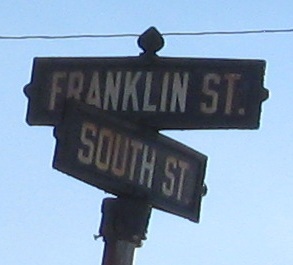 The first comes out of Rhode Island as US 1A, but loses its US Route status at the border. The second ends awkwardly at old US 1 just north of I-95/MA 128, though it used to continue into Boston on Washington Street. The third begins at the Sumner and Callahan Tunnels, and gives you just about all the photos you'll see here. Heading north from Boston, MA 1A was originally designated as C1, which it's still called by old-timers. That's the same as City Route 1, and it went through East Boston to MA 60 (at what's now the MA 16 intersection), then up the path of what's now US 1 to Broadway (now MA 99). MA 1A then followed 16 (one of its historical routings), and US 1 followed yet a third route along MA 28 to 16 to 99. 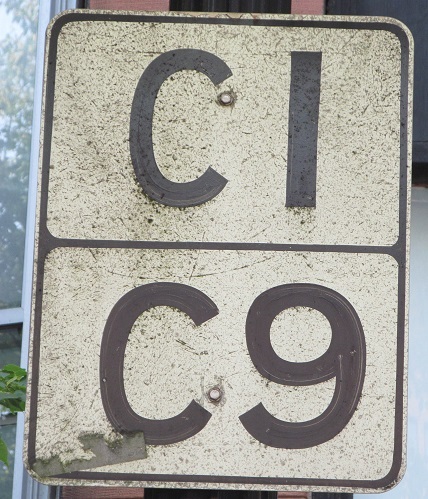 MA 1A thus originally began where 1 turned off 16 onto 99, and C1 ended where 99 now meets 1. When the Northeast Freeway was built as I-95, US 1 took over all of C1, MA 1A was truncated to the MA 60 circle, and 16 was extended over former 1A. Later, when I-95 was cancelled through Lynn, US 1 moved to the freeway and 1A was extended into the city along its current route. I find it interesting that C1 followed the elevated freeway upon its construction, something I wouldn't expect of a city route. 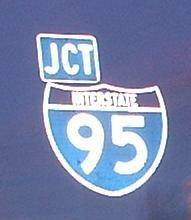 The super-wide shield is a pandemic on I-95 (and in this case MA 1A NB) between Rhode Island and I-93. The middle MA 1A, SB. 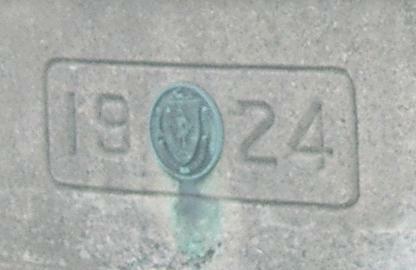 One side is older than the other, meaning the original 1911 bridge had to be widened in 1924 (likely to handle automotive traffic). 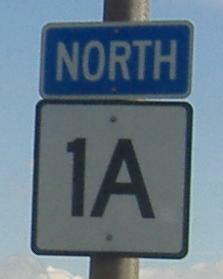 MA 1A follows the original Boston-Woonsocket road, while US 1 follows the road between Providence and Boston - in other words, 1A here was never US 1. Entering the Callahan Tunnel below (now above) the Central Artery, the very beginning of MA 1A. 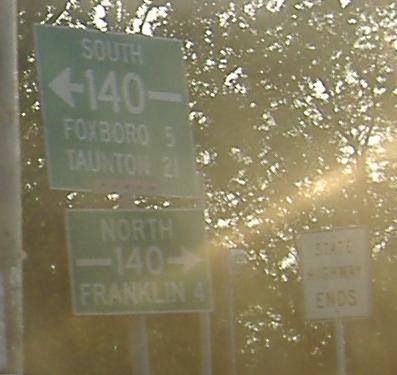 The interchange now only has access from SB I-93 to NB 1A and SB 1A to NB I-93, because NB-NB and SB-SB traffic can now use I-90, but this part has stayed the same, including this new all-text sign. The SB side uses the tolled Sumner Tunnel, which was the original tunnel to East Boston.